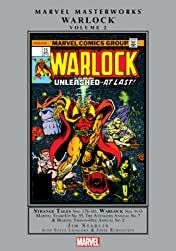 Collects Strange Tales #178-181, Warlock #9-15, Marvel Team-Up #55, Avengers Annual #7 and Marvel Two-In-One Annual #2. 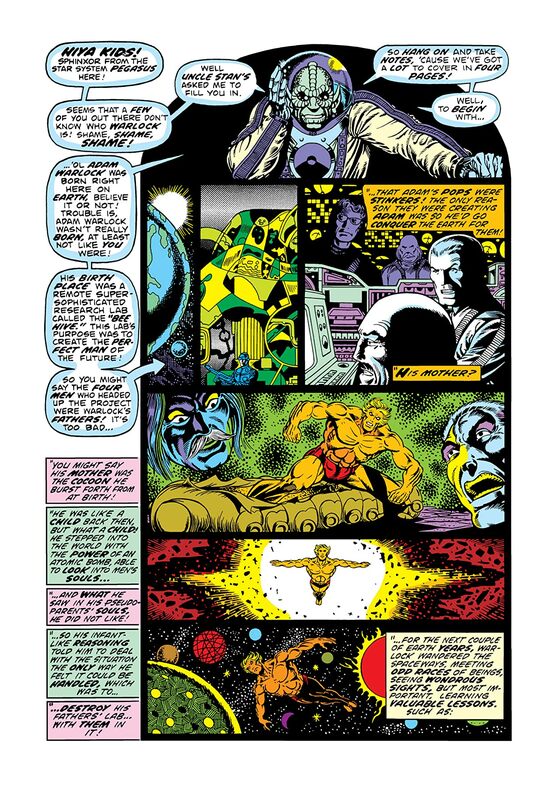 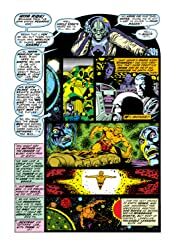 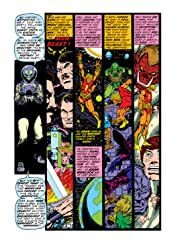 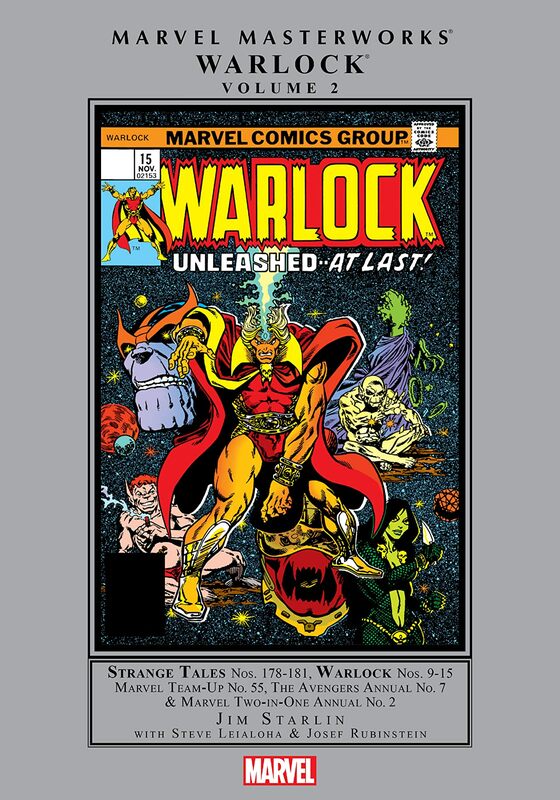 Taking the legacy laid out by Lee, Kirby, Thomas and Kane, Jim Starlin evolved Warlock to the next level, imbuing the character with the furies and inner demons of a man-god on the brink of insanity. 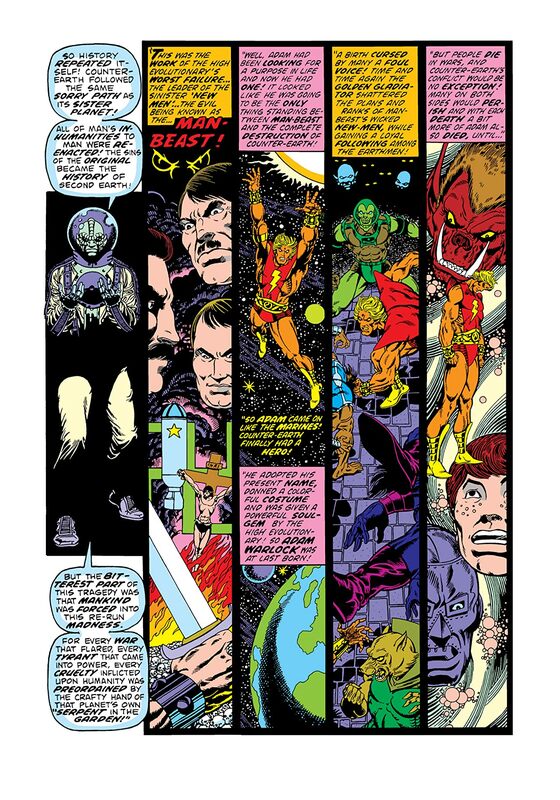 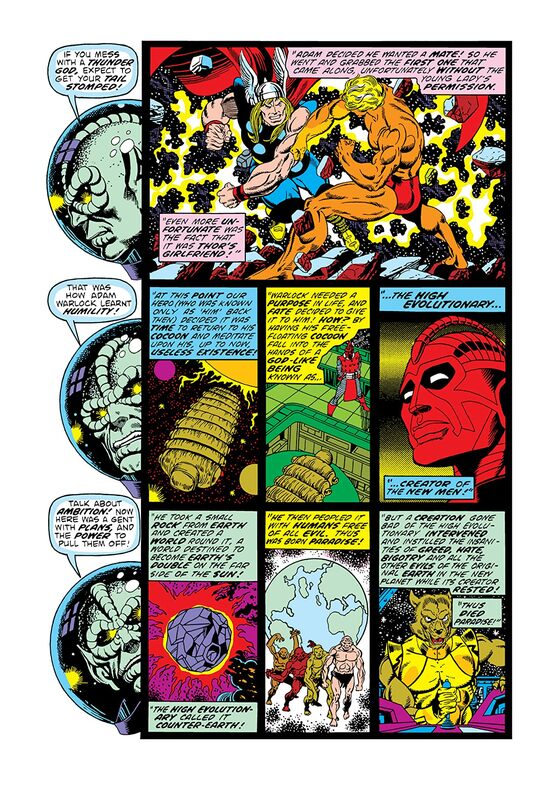 Forced to confront the Magus, an evil version of himself, and the nihilistic menace, Thanos, Warlock's conflicts weren't just knuckle-grinding throw-downs, they were epic, existential struggles for the very soul. 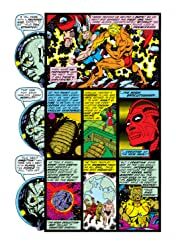 Culminating in the first-ever assembling of the Infinity Gems, and featuring the first appearances of such cosmic Marvel mainstays as Gamorra and Pip the Troll-not to mention an all-out struggle to save the universe joined by the Avengers, Captain Marvel and Spider-Man-this MASTERWORKs edition is definitive Marvel.